The Addiction Recovery Care Association ARCA, Inc. is a nonprofit organization that offers treatment services for alcohol and substance abuse to adults and families. It has been providing healing and recovery to individuals and their families for over 40 years now. The mission at ARCA is to provide clients with the tools to maintain their freedom from alcohol and drugs. It enables them to regain a true sense of self-confidence and responsibility which will help them become better individuals and productive members of the society. Since the disease of addiction also affects the family of the one suffering from substance abuse issues, the center offers programs that provide help and support to family members as well. ARCA offers medically managed detox programs, residential treatment programs, and family programs. The treatment programs at the center are based on the 12 step philosophy which focuses on healing the mind, body, and spirits of clients. The center also provides aftercare referral which supports the alumni members to continue in their recovery and prevent relapse. The staff at ARCA comprise of highly experienced and trained healthcare professionals who provide individualized treatment services to clients. Holistic approaches to treatment are employed which result in clients being healed emotionally, physically, and spiritually. 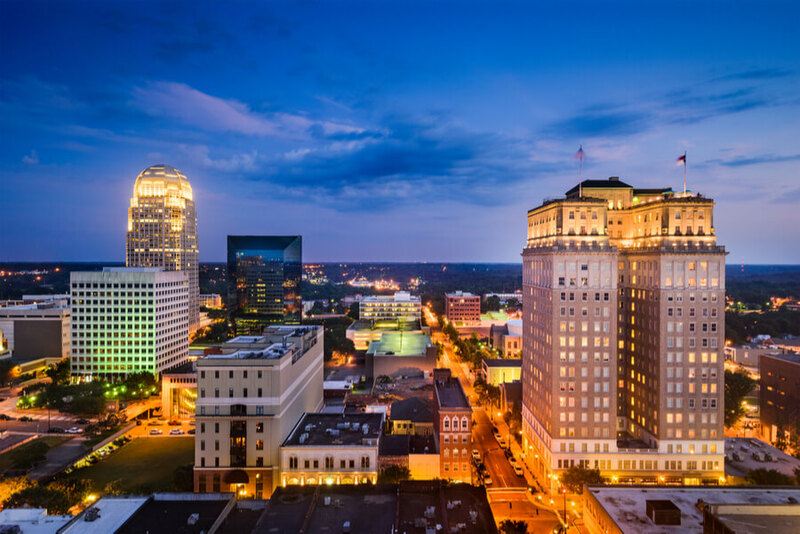 The residential facility of ARCA is located in Winston Salem, North Carolina. The campus is spread across wide green lawns surrounded by picket fences. The campus offers a safe, private, and peaceful environment for clients to begin their recovery journey. The campus can accommodate 50 clients at one time. Clients stay in double-occupancy rooms which are furnished with twin beds, nightstands, and closets. Each room has an attached bathroom. There is a media room that is furnished with leather sofas and tables. It is equipped with a flat-screen TV which clients are allowed to watch in their free time. All rooms and media rooms are decorated in such a way that they provide a warm and cozy environment for clients to unwind. Clients are assigned therapeutic chores which they have to complete as part of their daily schedule. They are given time to indulge in recreational activities as well. The center has an in-house chef who prepares meals three times a day. Meals are served in the cafeteria which has an adjoining sitting area where residents sit together to eat. Tasty and nutritious foods are served at each meal time including oatmeal, eggs, bacon sausages, grilled chicken sandwiches, steaks, mashed potatoes, and vegetables etc. ARCA offers a wide range of treatment services to clients including detox, residential treatment program, and family services. Each client is also assigned an individualized treatment plan based on his unique case and other factors. The cost of treatment is approximately $5,600 for 14 days of the residential program. The cost in the Detox program is $550 per day. The center accepts several financial options including self-pay, insurance, insurance co-pay, and arrangements made through donations. The different financial options make the treatment affordable and reachable for all. The details of the accepted insurance companies can be acquired from the admissions staff. ARCA Addiction Recovery Care Association, Inc. has been providing high-quality treatment services to individuals suffering from substance abuse issues for more than 40 years now. They believe that the road to recovery is not easy. So they strive to make this journey towards recovery for clients as smooth and easy as can possibly be. They offer a family-based approach to treatment which is primarily based on the 12-Steps philosophy. Clients are enabled to recover from their addictions and maintain a healthy lifestyle after leaving the facility. An aftercare program provides assistance and support in this regard. During treatment, clients are involved in evidence-based practices and therapeutic activities that help them regain control of their lives. Clients are empowered to realize their true potential and achieve their goals in a healthy and happy life while preventing relapse. Addiction Resource » Drug and Alcohol Rehabilitation Centers » North Carolina rehabs » Winston-Salem » ARCA Addiction Recovery Care Association, Inc.